Kickin' Back: 2 bed / 2 bath. Sleeps 6. 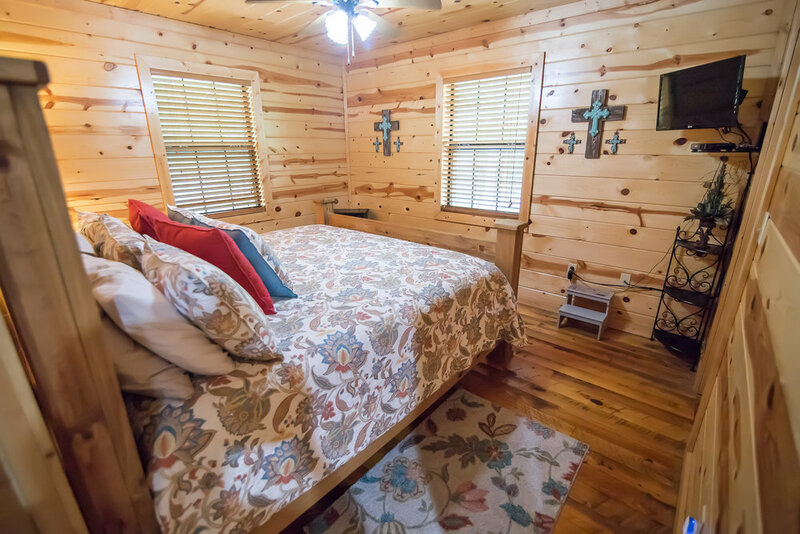 Tucked away in the woods – so cozy and comfortable – what better way is there to spend some time unwinding, de-stressing, and ….well, Kickin Back? 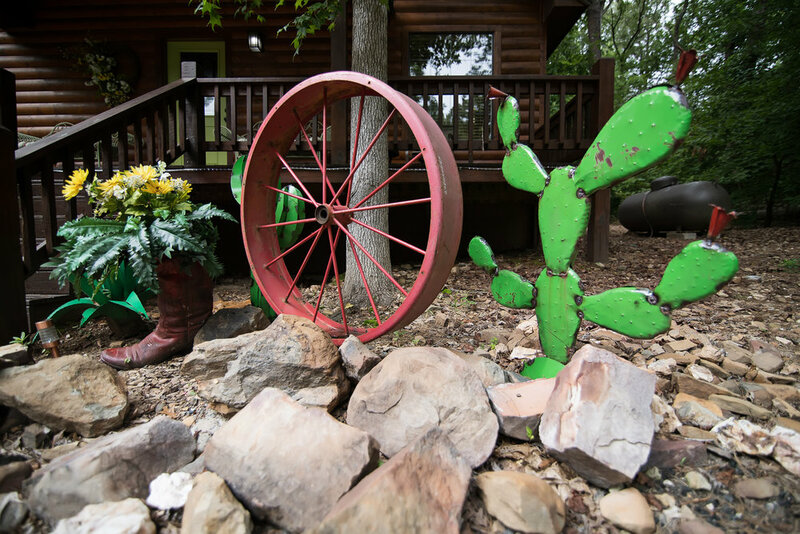 A cabin favorite for honeymooners, couples, and small families who are looking to get away, this cabin offers the rustic luxury everyone wants. Definitely, Kickin Back is the place to be to soothe your body and soul. After a full day hiking around Beavers' Bend State Park or enjoying non-stop fun on Broken Bow Lake, return to Kickin Back for a long leisurely soak in your own private covered hot tub.A vaulted ceiling and gas fireplace make the open living area the perfect place to either snuggle up to watch a movie on the flat screen TV or gather the family for a fast paced game of cards. There is also a Foosball table – a great, fun way to pass the time. 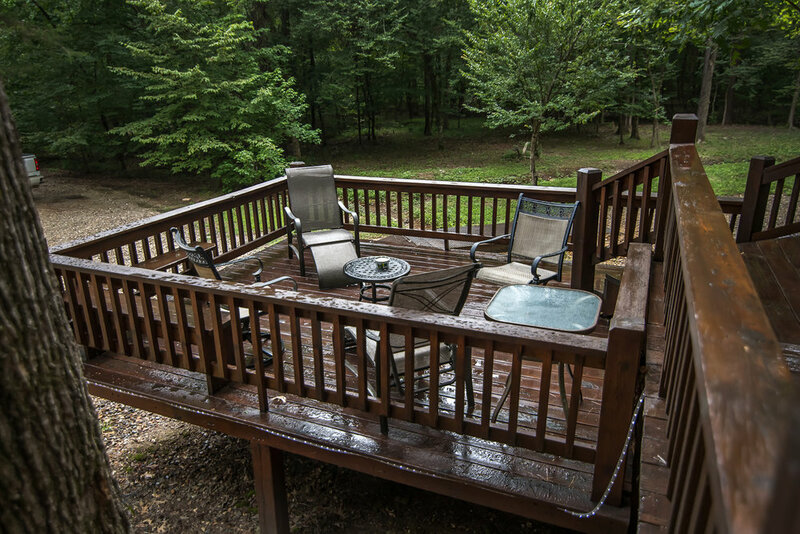 The fully stocked kitchen and gas grill makes getting meals together a snap – but in case you don't feel like cooking, the Kickin Back cabin is just minutes away from the dining and entertainment options in Hochatown. 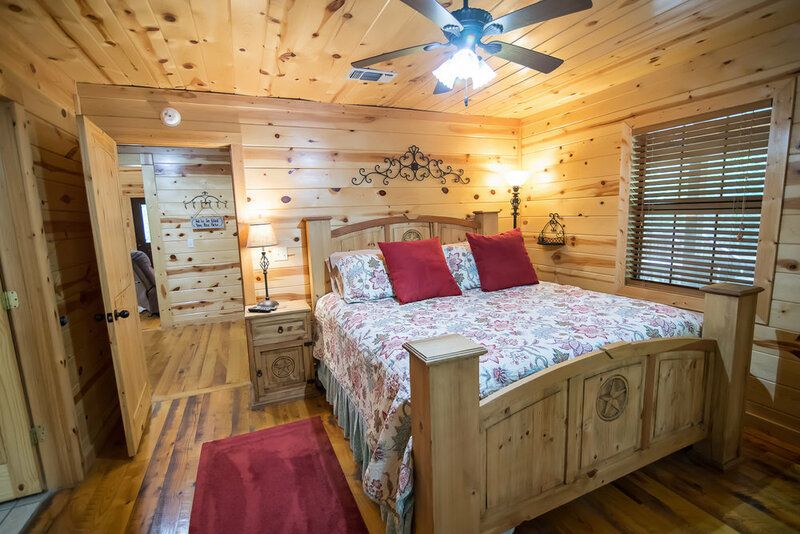 After spending the evening relaxing on the large deck or roasting marshmallows and telling stories around the fire pit, you can get rested up for the next day in two king beds. 2 full bathrooms means there is plenty of room for everyone to get ready and a full laundry room is perfect for your extended stays.Being just minutes away from Beavers' Bend State Park, Broken Bow Lake, and Cedar Creek Golf Course, makes Kickin Back the ideal spot to enjoy your visit to Hochatown and Kiamichi Country. You can also enjoy horseback riding, kayaking, the Nature Center, multiple restaurants and many other sights and activities.